Chris Patel is professor of International Accounting at Macquarie University, Sidney, Australia. His research program adopts a multi-disciplinary approach to provide theoretical, methodological and empirical evidence on various aspects of judgments of professional accountants across countries such as Australia, China, India, Malaysia and Japan. 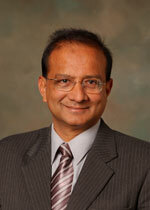 He acted as an adviser to Asian Development Bank, World Bank and World Health Organization. He is among the editorial board of scholarly journals including International Journal of Accounting, Auditing and Performance Evaluation, Journal of Applied Management Accounting Research and Asian Academy of Management Journal. He was an Associate Editor of Journal of International Accounting Research. He was a member from 2003 to 2005 of the Outstanding Dissertation Award Committee of the Internationa l Accounting Section of the American Accounting Association. 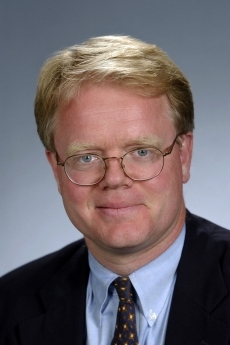 In 2011 he was appointed by the Norwegian Government to the Research Council of Norway responsible for assessing the quality of research grant applications. Over the last six years he provided research and teaching related assistance to various universities in emerging countries including the National University of Samoa, the University of Fiji, the University of Papua New Guinea, Universiti Teknologi Mara(Malaysia), Universiti Sains Malaysia and Universiti Utara Malaysia. He was awarded the 2004 Macquarie University Outstanding Teacher Award. He is the NSW President of the Institute of Certified Management Accountants of Australia. Christopher R. Yukins is professor of Government Procurement Law at George Washington University, Washington DC, USA. He has many years of experience in public procurement law. He was for several years a trial attorney with the U.S. Department of Justice, where he handled trials and appeals involving bid protests and contract claims against the U.S. government. He teaches on government contract formations and performance issues, bid protests, Contract Disputes Act litigation, and comparative issues in public procurement, and focuses especially on emerging public policy questions in U.S. procurement. He is an active member of the Public Contract Law Section of the American Bar Association, serves on the steering committee to the International Procurement Committee of the ABA International Law Section, and previously served as the president of the Tysons Corner Chapter of the National Contract Management Association. He is a faculty advisor to the Public Contract Law Journal, and has contributed pieces on procurement reform, international procurement, electronic commerce and information technology to a broad range of journals, including Washington Technology, Government Contractor, Legal Times, and Federal Computer Week. He has published on procurement reform in scholarly journals, including the Public Contract Law Journal, Georgetown Journal of International Law, and Public Procurement Law Review (United Kingdom).